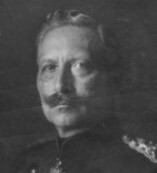 As the embodiment of Teutonic martial values Wilhelm was frequently filmed in a military setting. Birt Acres' The German Emperor Reviewing his Troops, taken at Kiel in 1895, was followed by many similar films showing Wilhelm with his army and navy. 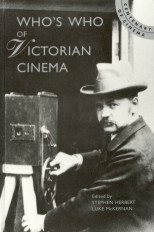 That he recognised the propaganda value of the cinema is demonstrated by a contemporary account of The Kaiser's Manoeuvres (1910): 'the Kaiser's interest in Kinematography is well known, and when facing the camera he gives a salute, doubtless intended for the audience who will see the picture'. As with a number of other monarchs Wilhelm acquired his own personal cinematographer, and prior to that Ottomar Anschütz had been appointed photographer to the Kaiser's family and had accompanied him on his trip to Palestine in 1899. The growing might of the German fleet was illustrated by a series of Biograph films taken with Wilhelm's permission at Kiel in 1900, the most powerful image being the celebrated Battleship Odin With all Her Guns in Action.